I have limp and lifeless hair when I come out of the shower and I need to add product to it to give it a little oomph. I look for a good quality hair care product that does what its supposed to either by giving me volume, shine or holding a style. White Sands is a top of the line hair care manufacturer of innovative products that define quality, style and performance. I love how you can find products that would suit your hair type on their website. I have baby fine hair and can see many things that I could benefit from. 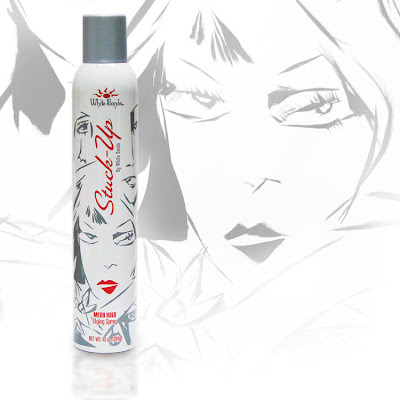 White Sands is sponsoring a giveaway on my blog and is giving away Stuck Up Mega Hold Hairspray to two of my readers. This hairspray is the first of its kind that provides maximum hold, volume, thermal intelligence, and the ability to comb through hair. Another neat thing is that it can be used with any hot tool and the more heat administered the shinier your hair gets.